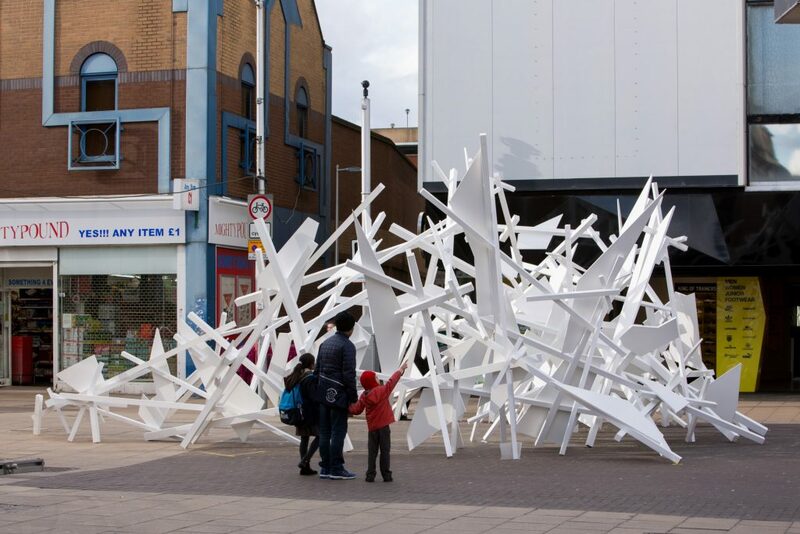 We collaborated with artist Stefan Reiss on his public artwork O.T. 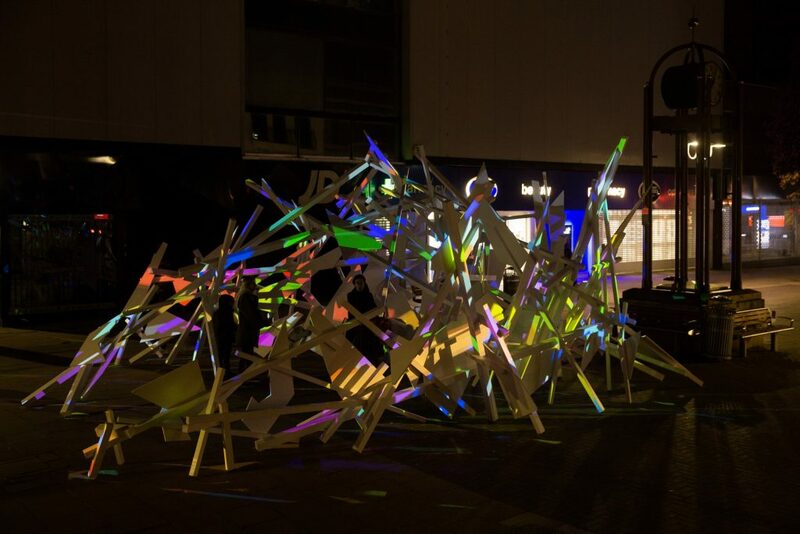 968. 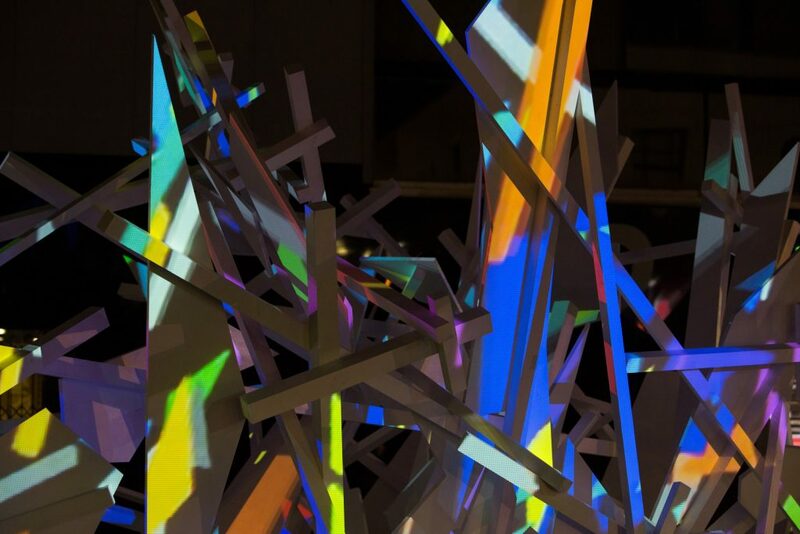 The artwork is a physical installation made of large wooden beams and boards with an all over video projection. 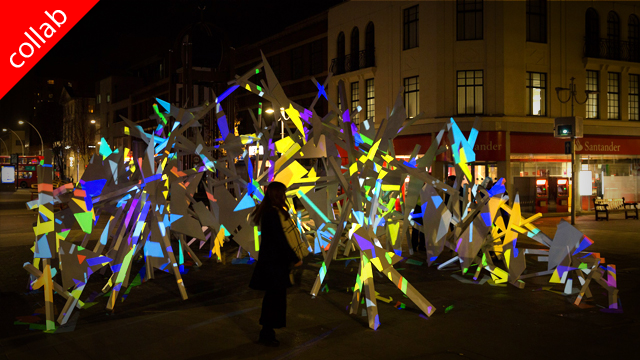 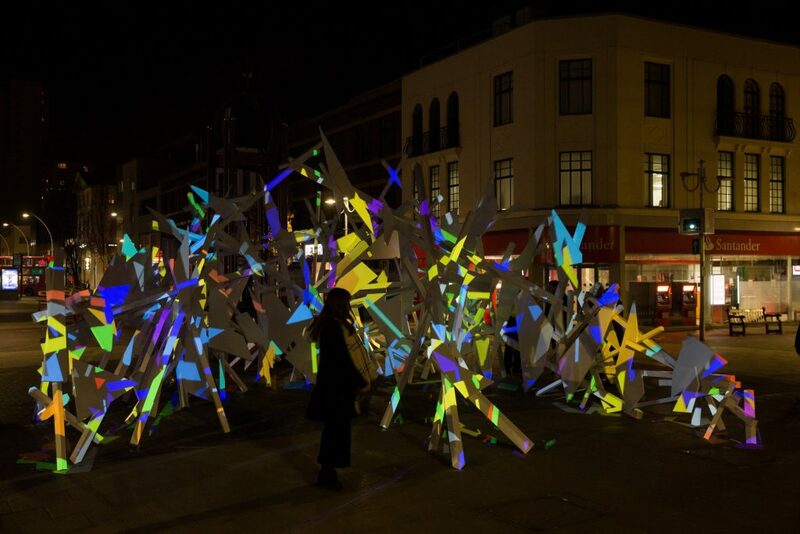 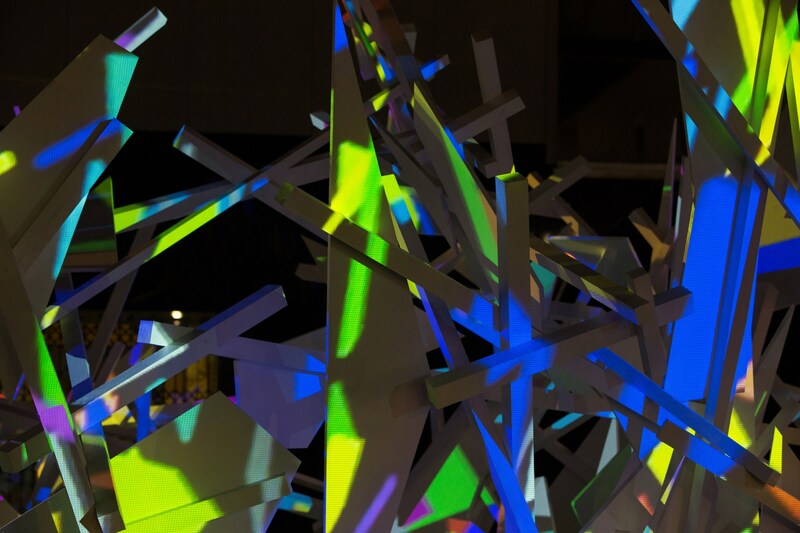 Created in the center of Ilford, UK, this work aims to bring people together and serve as a meeting point, and create an experience where the audience can influence the vivid, interactive projection with their presence and movement.